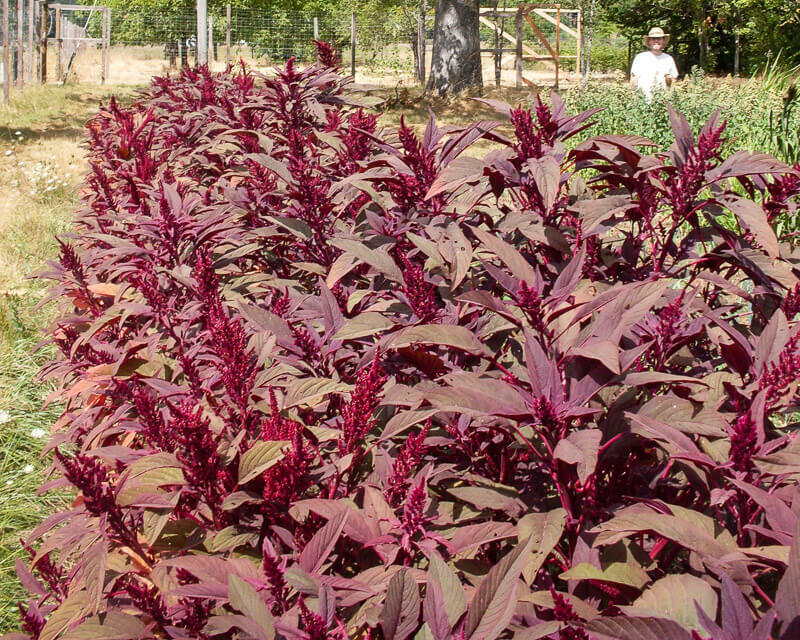 Amaranthus sp. Leaf/Flower/Grain. 45 days leaf; 90-100 days grain. Our re-selection from variable material that originally came from the Rodale Institute in the early 1980s, and more recently from Suzanne Ashworth in California with the name Red Leaf Grain. 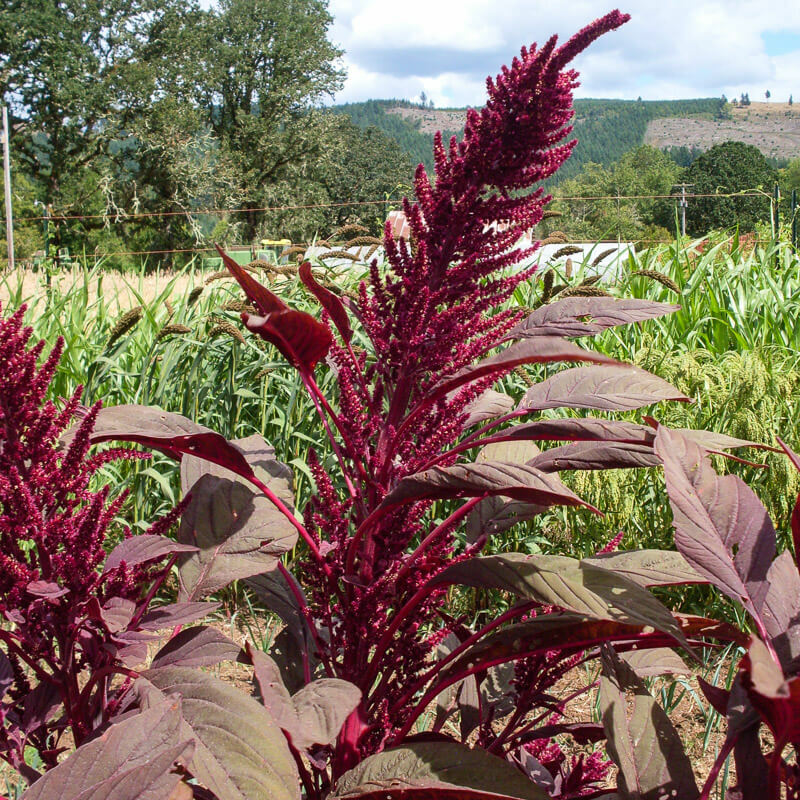 Plants are strikingly beautiful with their deep red color – one might be fooled into thinking they had planted a simple ornamental instead of a food crop. We have selected for early maturing, 4-5′ tall deep-red plants that produce a heavy yield of light tan seeds, perfect for edible grain use. Most of the plants are entirely finger-headed but some show a more snake-tongued center head. Matures well for us even in extra cool summers. 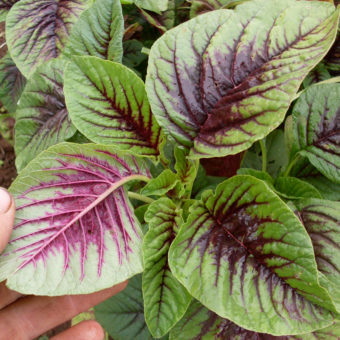 Young leaves are a great and delicious addition to salad mix. Leaves had the best flavor raw in our amaranth flavor trial.